Runner Spotlight Thursdays, will be back soon. So instead for today, I want to give a shout out and make you aware of the next two Blog Hops. These will be the last two Giveaway hops that I will host until Fall. Additionally if you scroll down this post, I'm offering some helpful blogging tips for those who host giveaways on their blogs. 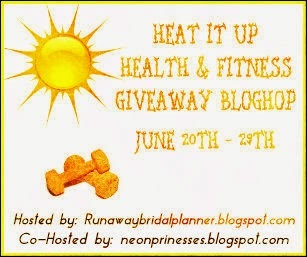 The TOP 5 reasons bloggers are enjoying participation in my giveaway blog hops. 1. You'll have considerably more traffic to your blog during the hop. 2. You'll have many more entrants than you would if you posted alone without a link-up. 3. It's a lot of fun to link together with other great bloggers, see what others are doing. 4. It's very simple and easy to do. 5. Its a great chance to showcase your blog to a new audience, and attract new blog followers. Have more questions, ask me in the comments or send me an email. Before you link up make sure you read all the rules below. Item(s) you decide to use in your giveaway should be somewhat fitness related, gift cards are also okay! Please read and agree to ALL the rules below, before adding your name to the list. Giveaway hop runs July 7th - 20th. Your giveaway item you feature should be something that you consider one of your fitness favorites. Please read all the rules below before adding your name to this list. 2. Giveaway item needs to be relevant to the type of hop. Gift cards are okay. 4. REQUIRED at the bottom of your giveaway post, will be the LINKY that has the link to all the other blogs participating in the hop. It is a hop, so this is required! If you do not know how to insert a LINKY, it will be a requirement to link to the Host or Co-Host's Giveaway Post - The links will be emailed to you 5 days prior to the giveaway start, so you can prepare your post in advance. 5. You are welcome to have no entry requirements, or requirements for entries, the choice is yours! For the hop we ask you limit it to only 1 Mandatory entry, and ONLY up to 10 total possible entries. (Example: You can ask them to follow your blog as their 1 Mandatory entry then offer them other options to follow you, twitter, facebook, leave a comment etc...) The simpler you keep it, the more entries you are likely to receive! 6. Your post must go live by 8AM EST on the start date of the hop and run through MIDNIGHT on the last day of the hop. Everything is up to you on how you design it, but it must be kept family friendly, and appropriate for all audiences, any pictures visible on your blog page during participation in the hop should also be appropriate for any age audience. 7. I will send you 2 reminder emails to post your giveaway, along with the Linky and Image for your post - Add my email (runawaybridalplanner(at)hotmail(dot)com to your contacts, so your reminder emails will not go to junk. (Instruction email will go out 5 days before hop, and final reminder 24 hours before hop) Your email will only be used for this hop, it will NOT be sold or spammed for any future uses. 10. Anyone who is not following the rules, may be deleted from the hop. It is important to follow the rules so the hop can be the most successful/fair for everyone participating! I've done a few of these now, and I've learned a few things. Here is some informational tips that may help you with your next giveaway. Generally you are asking people to follow you in some way to enter. If you are asking them to follow you via twitter, pinterest, instagram, etc... You should strongly consider following them back. First, it's a nice courtesy. Second, if they notice you do this, they'll not feel like they are just a number in the giveaway to you. They are more likely to continue to follow you after the giveaway if you are following them, rather than them unfollowing after. Letting them know you noticed they entered is a really nice gesture. Possibly if your blog is really large and you're getting thousands of people entering, it might be impossible. But if you are a smaller blog, looking to grow, why not throw in that personal touch when you have time. It may not always be possible to do, but when you can give it a try, it can't hurt:) After all, all these new people coming to your blog to enter your giveaway, the key is to keep them coming back after they enter! If you make it really difficult for someone to enter, they won't. If you are asking them to do a dozen different things just to get one entry it becomes overwhelming and chances are you'll turn away most of those who come to your blog. Keep it simple, only asking them to do 1 thing to get one entry is best. Make that thing easy. If you are asking them to follow you, make sure before your giveaway you put all your follow options easy to find on a side bar "above the fold - when possible." If you are asking someone to follow you via twitter, pinterest and they have to search all over and can't find it, you just lost that entrant. You can always have several ways for people to enter, or gain additional entries. But the same rule should apply for each of those, keep it simple. They may be coming to your blog to enter a giveaway, but keep in mind this is your time to show off your amazing blog. Give them reason's to come back. During your giveaways, add a image and link to your sidebar to some of your more popular posts from the past. As they are entering your giveaway if they see something eye catching or interesting on your side bar they are probably going to click on it and check it out. If they like what they see, they are even more likely to keep coming back to your blog long after your giveaway is over. I make this a rule during the giveaway hops that I host, just because I like to keep them family friendly for anyone to be able to be comfortable visiting any of the blogs in the hop. But even if you are hosting your own giveaway alone this is something to keep in mind. Your pictures, your words are your image. Bad language, racy pictures are more likely to detour someone from staying at your blog long. After all most people are searching the Internet while at work, its a fact (you know you have done it). But if they come across your blog and there are racy pictures or images with some not so nice four letter words. Chances are they are going to quickly click out of your blog so that they don't risk someone (The Boss) wondering what they are looking at, at work. You may use this at other times, but if you want people to comment on your blog and not get annoyed you must turn these off. Especially during a giveaway it is actually considered bad blogging etiquette not to turn these functions off when you are specifically asking someone to comment on your blog to enter a giveaway. People don't have time to sign up for several different ways to comment on a blog, additionally some tablets and computers won't allow these sections to show up on their devices. So if you are hosting a giveaway, and especially during that giveaway TURN THOSE FEATURES OFF DURING A GIVEAWAY! *It's okay to ask for a name, email and link. But make sure these are optional, not everyone who visits blogs are bloggers themselves, they may not have a website. 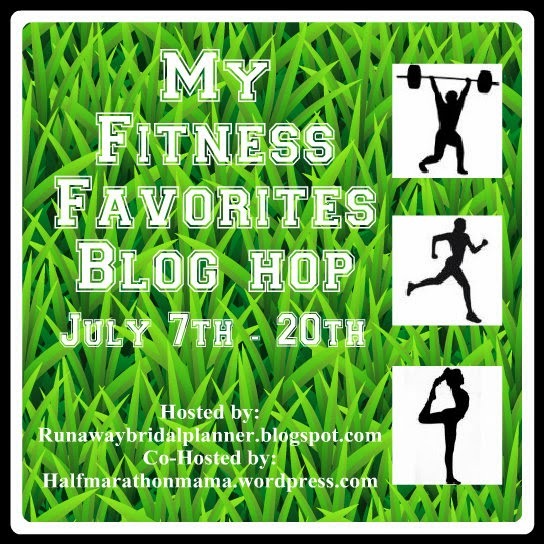 If you participate in the blog hops, take some time and visit the other blogs (even if you don't enter the hops). Take some idea's from them, see what others are doing. I never recommend copying because after all individuality is the key. However, you can very easily see something someone else is doing and make it your own. Lately I've been enjoying mixing it up a little with my giveaways. I like to keep it super simple, but I also like to have my participants interact with my blog in different ways. * Have them pin a few images for you on their Pinterest boards. * Have them tweet out past popular post links. * Have them comment or share a Facebook picture or post. However, keep in mind if you do this you need to make sure it's easy. If they have to search your blog to find the things to pin or post, they are far less likely to do it. But if you have a "click here to do it", where all they have to do is click on a link and then hit okay or something similar to send it out and it only takes them a couple of seconds. They'll do it for the extra entries. I personally love Rafflecopter for this feature, and you don't have to use the paid version to have this ability. I'd give you a bunch more tips, but I think this post is long enough. The main things to keep in mind is, would you do it? If you visit others blogs, and enter giveaways how likely would you be to do the action you are asking them to do to enter? Also, if you enter giveaways. What key things make you take notice of a particular blog that will make you more likely to come back after the giveaway? Keep those thoughts in mind while creating your giveaway and you're going to be far more likely to see not only success during the giveaway, but you'll get some of those new viewers back as real followers too!